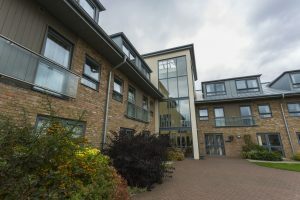 A shortage of food and lack of hygiene have been highlighted as problems at St Michael’s Court care home as it received an “inadequate” rating from Care Quality Commission inspectors. receiving personal care such as washing, when needed. The inspection on December 12 and 14 was unannounced and prompted in part by complaints and concerns from members of the public. The care home has capacity for 86 people, some of whom are living with dementia. At the time of the inspection 71 people were living within the home. Inspectors spoke with 15 people living in the home, eight visiting relatives, 12 staff members including the manager, the deputy manager, the residential services manager, an agency care worker, three team leaders, three care assistants, a regional manager and a quality director. There was not a registered manager in post at the time of this inspection. The home’s last comprehensive inspection was carried out in August 2017 and was found to be “good” overall. One person had a serious pressure ulcer and required support to reposition every hour. According to their records, on one occasion they were left for almost five hours. Care staff said the home had regularly run out of food and drink items. One staff member said they felt it affected people’s drinking sometimes, as there was only water available to drink because juice or squash had run out. People’s privacy, dignity and right to confidentiality was not always upheld. One relative told inspectors they it had been necessary for them to tell their family member to go to the toilet in their incontinence pad because there were no staff available to take them to the toilet. Topical medicines such as creams for skin care were not administered or recorded as prescribed and some were out of date. Some bottled items were not dated and in one areas of the home, stocks of oral tablets did not add up correctly which meant that people may not have received their medicines correctly. People were left unattended and uncomfortable for long periods of time. And could not get assistance when needed. Services in special measures will be kept under review and will be inspected again within six months. St Michael’s Court was previously rated as a good home with the CQC in 2017. In late 2018 there were management changes and new management did not continue to provide the level of service we expect and standards within the home were not maintained. I am pleased to say that there is new, experience management in situ and the home is working diligently to ensure that its residents receive the high level of care that they deserve. Residents and families can be assured that we are dedicated to providing a quality service and are working hard to get full compliance with the CQC. As an organisation, we strive only for the highest standards of care and monitor our services very closely to ensure care delivery is person centred and meaningful to all who live in our homes. Our residents’ wellbeing is our number one priority. It is only ever with the best interests of our residents that we undertake to improve and learn from any shortcomings experienced. This entry was posted in Aylsham, Home Page and tagged Aylsham on January 23, 2019 by Just Regional.